Browse Pinterest for five minutes, and you’ll see what’s popular in weddings these days. It’s no surprise that with the economy the way that it is, DIY (or do-it-yourself) weddings are all kinds of popular right now. Whether it’s sewing your own table runners, shopping the flea market for details, or even making your own bouquets, projects that you do yourself are a great way to save money and add a personal touch to your wedding day. But (and there’s always a but), there are a few downsides to doing it this way as well… so here are the pros and cons of DIY! 1. In some ways, creating things yourself can be a huge money saver, but it can come at the cost of your time. Be prepared to spend quite a bit more time on the details than other brides and grooms if you decide to do things yourself. But, if saving money is more important to you than saving time, then more power to you! Just be sure to shop around to find the best price for things. You might be surprised at how expensive supplies can cost. So, shop wholesale and local when you can. 2. Obviously, your bridesmaids will know when you ask them to be in your wedding that there are a few things that are expected of them. Throwing you a shower and helping you get into your dress are just two of many obligations that bridesmaids often expect of themselves (without even pressure on the part of the bride, in many instances). But helping you make one thousand paper flowers shouldn’t be included in that list of obligations. When deciding what DIY details you want at your wedding, it’s perfectly alright to ask your girls for help, but definitely don’t expect it. They may not have the time or skills to sew their own dresses either. 3. Please, take into consideration your own skill set. A lot of things look like they are the easiest thing in the world to create, but can actually be really difficult. Don’t beat yourself up if something you found online doesn’t actually turn out the way you want it to. In cases like these, you have a lot of options: just keep practicing, scrap it and try something new, or buy DIY. That last one might sound a little strange, but that’s exactly what buying on Etsy is! 4. Not everything about DIY is bad, however. The best part is that by making things yourself, you’re automatically inserting you into your wedding! Not only are you adding things that you love into your wedding, but you are adding a handmade touch. It may seem like this is the norm in weddings these days, but I can guarantee that it isn’t. Very few weddings actually include handmade details, and it’s really a breath of fresh air when you see it done right. 5. Regardless of what you do, just make sure that you have a positive experience while you do it. I guarantee that things will become more stressful as your wedding gets closer, but in the days leading up to it, you won’t care. 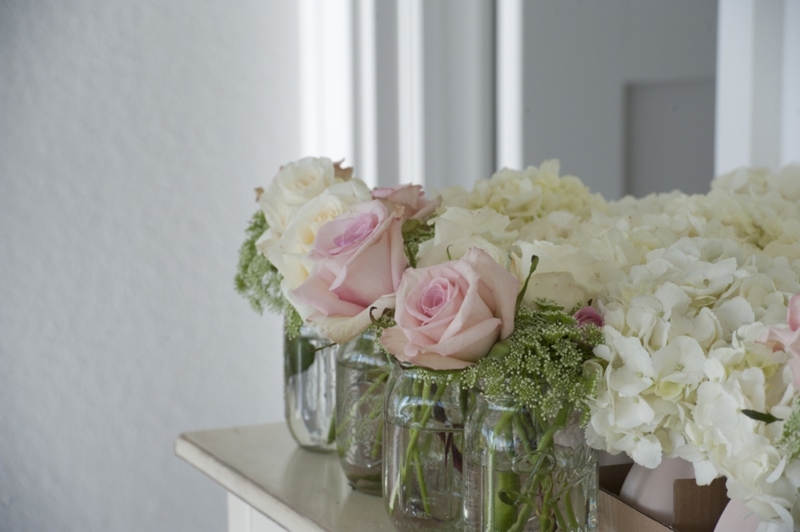 So, if three months out you decide that you want to start collecting mason jars for your flowers, do it! Have fun hunting for those things. But don’t wait until the last minute, or else you’ll stress yourself out and it won’t get done. Wedding planning should be a fun, positive experience, and doing things yourself can just add to the experience. But be sure to let it all go if you need to. You really don’t want to dread your wedding day because you couldn’t get those things done that you had wanted to get done. 6. If a large portion of your wedding is DIY, I would highly recommend that you hire a wedding planner. They will be able to see your vision the way that you see it, and implement that on your wedding day. I know that it’s been said here a few times before, but I’ll say it again. A wedding planner really can be a lifesaver on your wedding day. It may seem that when it comes to DIY, the work happens when you actually create the item, but that isn’t the case. 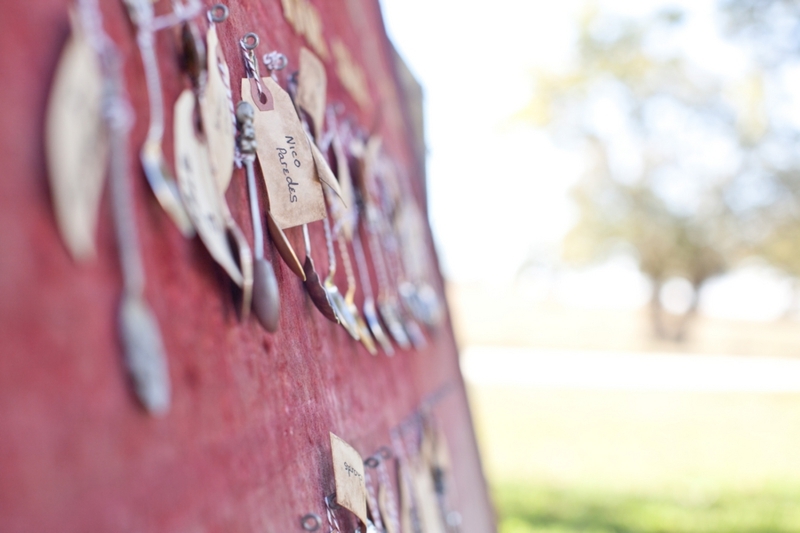 You still need someone to put your handmade favors out, or set up that photo booth you created. I promise that you don’t want your mom or sister doing this, so make sure you designate someone who doesn’t have a pivotal role in the wedding itself to take care of these DIY details. Having a wedding made up of little details that you and your fiance create together can really make for a truly special experience. Plus, no one will have the same wedding as you if you decide to DIY items! Just be prepared to spend time on these things, and to give it up if you really need to you. The most important thing is that you’re happy on your wedding day- and you don’t want the fact that you couldn’t create that perfect tissue pom backdrop to ruin it all. Brides, what have you decided to DIY for your wedding? Have you started yet, or perhaps nixed some of the things you were planning on doing? I know it happened to me plenty of times! What a great post, Joelle! Most of the articles I read about DIY aim to warn brides and grooms about how time-consuming and often times expensive DIY can be. You did a good job balancing the pros and cons and encouraging couples to go for it if that’s what they want. Nice work, and WELCOME!! Tuesday Tips: I LOVE Inspiration Shoots… & You Should Too! Thursday Tips: What Exactly ARE Details?